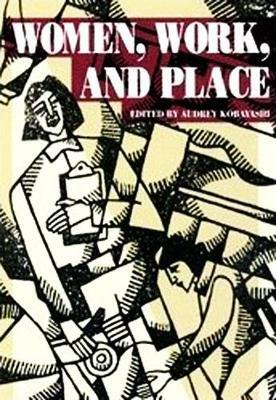 Topics include the transformation of the work force in nineteenth-century Montreal (Bettina Bradbury), feminization of skill in the British garment industry (Allison Kaye), the relationship between work and family for Japanese immigrant women in Canada (Audrey Kobayashi), experiences of women during a labour dispute in Ontario (Joy Parr), contemporary restructuring of the labour force in the United States (Susan Christopherson) and in an urban context in Montreal (Damaris Rose and Paul Villeneuve), the effect of gentrification on women's work roles (Liz Bondi), inequality in the work force (Sylvia Gold), and theoretical issues involved in understanding women in the contemporary city (Linda Peake). An introductory essay provides a review of current issues. Feminists and women's studies specialists and activists as well as geographers, historians, sociologists, and policy planners will find this book of great interest.